Are you the kind of person who has a whole lot of love to give? 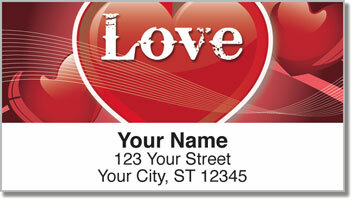 Let everyone you care about know how you feel and send out Valentines topped off with these loveable return address labels on every envelope! There are many different kinds of love. It goes far beyond romance, passion and desire. There's the love of the friend, the love of a mother, love for your siblings...it goes on and on! You love everyone and everything! 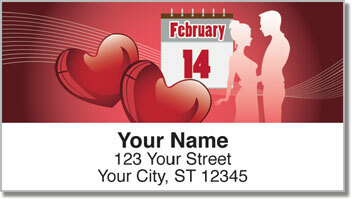 So this February send out cards that show your true sentiments with Valentine's Day Address Labels from CheckAdvantage. It will be fast and easy - even if your mailing list is long. That's because your new labels have a convenient self-adhesive backing! 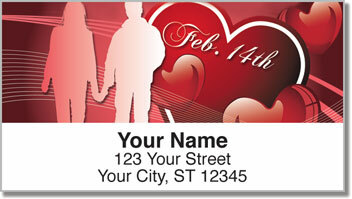 Order your very own Valentine's Day Address Labels now! 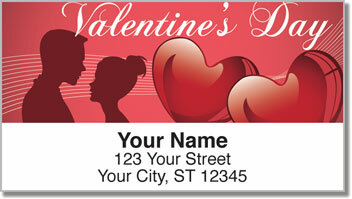 Get matching personal checks too!